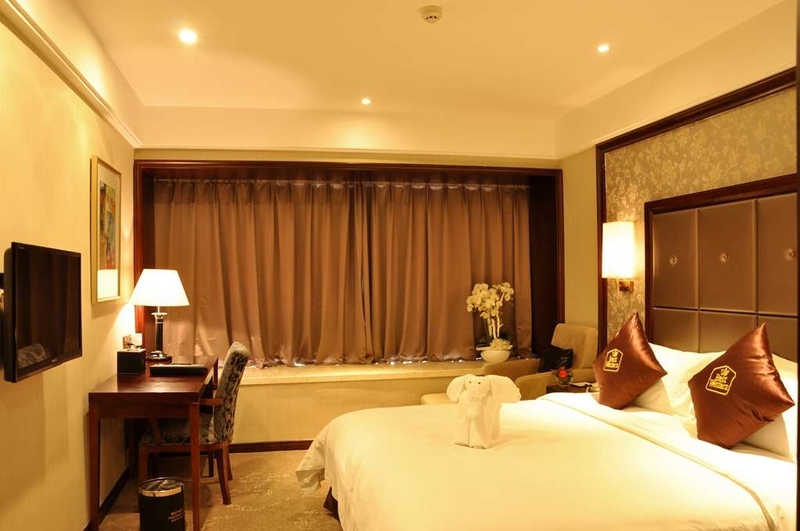 Das Best Western Plus Grand Hotel Zhangjiajie ist ideal in Zhangjiajie Stadtzentrum zu finden. Erleben Sie ein schöner Aufenthalt in der Nähe von alle Sehenswurdigkeiten. Bestpreisgarantie und exklusive Angebote. Das Best Western Plus® Grand Hotel Zhangjiajie befindet sich im Viertel Yongding in Zhangjiajie, gelegen am Fluss Lishui und in der Nähe des größten Stadtparks, dem Da-Yong-Park. Vom Fenster aus können Sie den Tianmen-Berg sehen, eine der fünf bedeutendsten Sehenswürdigkeiten. Das Hotel liegt günstig in Zhangjiajies Zentrum von Verwaltung, Wirtschaft und Kultur, und der Bahnhof und der Flughafen Lotus sind nur 10 Minuten Autofahrt entfernt. Das riesige Hotel umfasst eine Fläche von insgesamt 20. 000 Quadratmetern und bietet 150 Deluxe-Zimmer. Alle Zimmer bieten luxuriöse Duschen, kostenlosen Breitband-Internetzugang (auch drahtlos als Wi-Fi) sowie kostenlose Ortsgespräche und internationale Telefonate. Das Hotel ist komplett ausgestattet mit Mehrzwecksälen, Konferenzräumen unterschiedlicher Größe, Bankettsälen, chinesischen und westlichen Restaurants, Pediküre und Wellnessservice, Schach- und Kartenzimmer usw. Das luxuriöse Hotel ist prachtvoll gemäß den Standards eines 5-Sterne-Hotels eingerichtet. Hier können Sie Geschäftliches mit Sightseeing und Freizeit verbinden. Gemäß dem Credo von Best Western, Gästen besten Service zu bieten, erfüllt das Hotel internationale Vorgaben in puncto Management und Service und bietet der Elite damit würdevollen Luxus. Genießen Sie Ihren Aufenthalt! "Poor Quality and lack of English language skills"
No AC in rooms, supposedly in this season of 26C temperatures the AC is not switched on, solution is to open windows and ask for a fan. No one understands any English so communication is difficult. Overall cleanliness standards were horrendous, dirty upholstery and curtains, AC vent has hair sticking out, towels are frayed, lobby stinks and the front desk staff shouts across the lobby to the restaurant staff to get ice, served in a plastic bag. Horrible experience and will not recommend anyone to try this hotel. "Ok hotel...but far from a best western standart...."
I and my wife stayed 1night in this hotel before taking a flight to Shenzhen...to be quick in this review...hotel is just average...close from airport (just a 6 minute taxi drive) but reception said that a cab would cost 50 RMB (normal fare wouldn't be more than 10... called a taxi thru Didi...still he tried to charge 40...gave him 25 because I was late to take the plane... Hotel is old...room was dated and breakfast was poor in variety...but was enough to fill our stomachs... don't expect much from this hotel. The hotel porter/bellboys should be fired immediately as they are smirking whenever they receive a request from the front desk. Stayed here one night and requested a taxi for the following morning. The front desk wrote it down but did not facilitate because of a bit of snow. In the end I managed to find a taxi by myself. It took me 10 minutes. I believe this hotel is only used by tour operators (big touring car buses in front of the hotel)… Stay away from this hotel is you are travelling on your own! Noisy hotel with very dated carpet. Aircon was poor, we couldn't get it to work in either of the 2 rooms we had. Bathroom with toilet has a huge window onto the rest of the room with a curtain that does nothing, so privacy is near non existent. Staff were fine. Restaurant was good, but no real choice in walking distance if weather is bad. We picked this hotel so that we could be close to Tianmen Mountain and the airport. We booked 2 standard rooms. The rooms were on the 24th floor. We were woken up by the sound of honking starting at about 5:30am on weekdays. The carpet in both rooms looked quite dirty with stains. The hallways are too dim for my comfort. My aunt felt very uncomfortable with her room so we requested for room change. The receptionist kindly offered 4 other rooms for us to pick from. 2 of the rooms were upgrades. The housekeeping staff on our floor is very friendly and helpful. 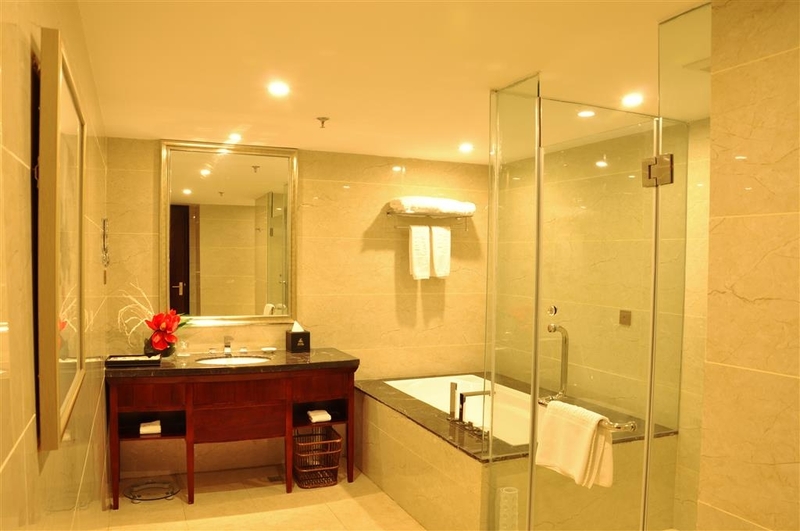 In the deluxe rooms, the bathroom is separated from the bedroom by a glass wall. There's a blind which you can lower but it's still somewhat see through. The housekeeper helped us tie some sheets to the rod holding the blinds for privacy. We ate at the restaurant on the ground floor of the hotel. The food is delicious and inexpensive. The server is impatient and unfriendly. He spoke fast and when I asked him to talk slower as I couldn't understand him, he didn't bother to do so. Location wise, there aren't much shops near the hotel. The hotel is about a 10 minute ride to the Tianmen cable car station and to the airport. It costs RMB 10 to the Tianmen mountain cable car station. We also purchased tickets for Tianmen mountain from the travel agency in the hotel. 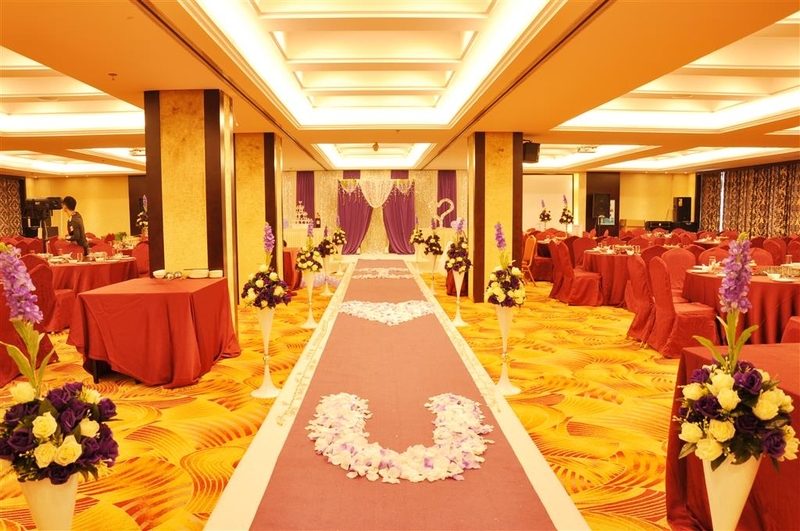 The price is much better than that quoted from Pullman Hotel at Wulingyuan. The staff at the travel agency are friendly. We had a late flight in to Zhangjiajie so we stayed here. It was a short drive away from the airport, and the check in process was quick. The hotel was comfortable and the food at the breakfast buffet was fine. First off, this hotel does not have air conditioning. It's currently 30C in Zhangjiajie in mid-late April and the hotel does not have its air conditioning system turned on. They told us to open a window. They offered to send up a fan, one hour later, still no fan. Front desk claimed fan was delivered but unless it's invisible, I would disagree. The room itself is relatively spacious but the carpet is stained in multiple places with who knows what and the bathroom is separated from the bedroom by a huge glass window and a see through blind... WHY? Throughout our trip in China we have stayed in quite a few hotels and this “Best Western” is hands down the worst. In China my requirement on hotels is basically the cleanliness. I am staying here with a tour, the bedding and things that are usually touched looks clean. Things that don't usually touched doesn't feel that clean and I wouldn't want to touch. They provided the toiletries even I was told that hotels in China will not provide anymore. What I am not happy with is the quality of the hair dryer. As a girl with long hair, my only expectation is a hair dryer that works. In my room, the hair dryer that mount on the wall works for couple mins then would stop, I think it's because overheating. So then it needs to rest for 5 mins to be able to turn on again. So I asked for another one, i was glad at first however this second one only has “cool wind” so when you come back late and want to dry your hair ASAP to go to sleep. Sorry not for you. Breakfast is so-so but still able to fill your stomach. Arrived after midnight, for two nights. Lobby was darkened and no doorman. We were on a private tour so tour guide checked us in. Seemed to take forever and hotel reception staff were not unfriendly but not welcoming either. Room was ok but not non smoking as requested, room smelt of stale smoke, unfortunately in China many hotels do not really have no smoking rooms. Room was hot 27 Celsius and AC was useless. In daylight we noticed carpet was worn and had cigarette burns. Room was clean and had expected amenities. It has glass between room and bathroom with a see through roller blind. Not sure why, maybe some people like watching their partners use the toilet! Seriously, please use non see through blinds! Next day we asked about AC, sorry whole buildings on winter systems still so we endured 29 Celsius in the room. To be fair to the hotel the weather did cool down substantially next few days. Breakfast was sad, no other way to say it. Floor had not been swept from earlier eaters, many tables not cleared or still dirty. Food was obviously here from a few hours before. As an example, 20 fried eggs stacked stone cold with no heater lamp. Absolutely no atmosphere in the place. Management need to fix this, it is supposed to be a 4 Star Hotel, maybe put more attention on service and food and less attention on checking room keys when one enters the restaurant. They even would not allow my teenage daughter into restaurant when she forgot her room key, she had to go back to the room to get it. I really don't think any one would volunteer to sneak in and dine here! When we returned for one night we were upgraded to bigger and better rooms and Bell boy was helpful. If I had a choice I would not choose Best Western, it is not a cheap local 3 star hotel, it is supposed to be part of a global brand. On the positive it is very close to the airport. "When is a 5 star not a 5 star hotel?" We booked online for this hotel to stay for one night before taking our flight. This is supposed to be a 5 star hotel First impressions as we walked into the reception was that it looked truly 5 star and we started off being very happy. As we checked in though the first thing was that breakfast was additional price to the online price by 58 Chinese yen each. We then went to our room and despite having numerous luggage no assistance was offered. Our room was on the 20th floor and I have to say that it was far worse than a travel inn - never mind a 5 star hotel! The carpets were stained terribly and the decor was extremely dated. It was late when we arrrived so didn't really have the energy to complain. Disappointed though - recommend you stay at the Pullman hotel nearer to the attractions which truly is 5 stars! 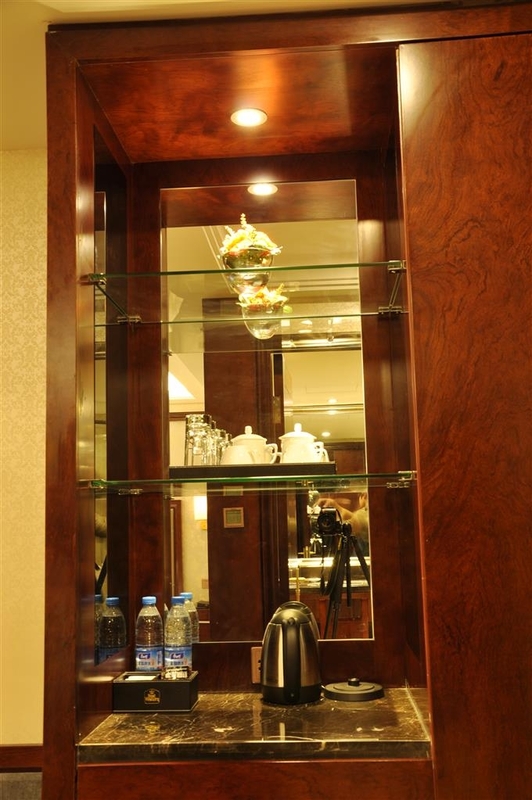 We were disappointed with the Best Western Zhangjiajie. First, we requested a non-smoking room some time before the trip; not only had they assigned all [if they actually have any] by the time we arrived, they had made no attempt to lessen the rather potent cigarette smoke smell in the room. We were transferred after protest to a suite at no extra charge; it had very little smoke smell, but the heating did not work, even after being checked by someone knowledgeable about their system. We froze the whole time we were there! The wifi server was not connecting to the internet, regardless of several attempts to get on line. And almost none of the staff spoke any English. Their iPhone apps for translation gave laughable answers.
" 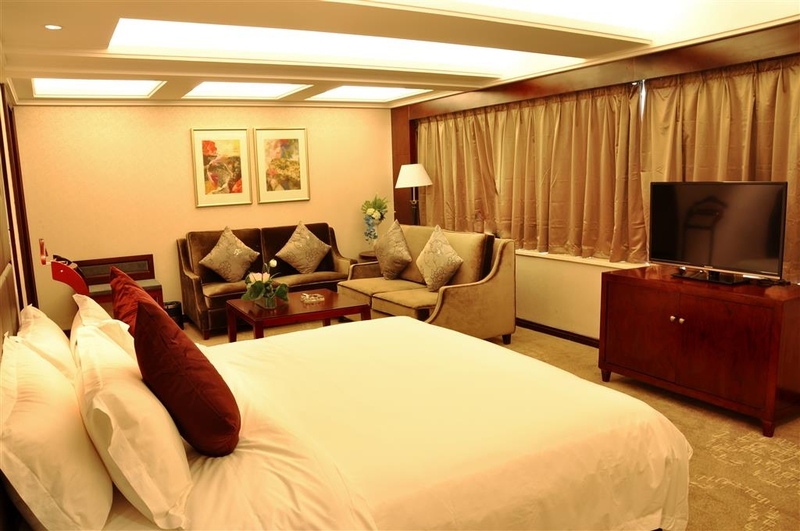 A comfortable hotel stay "
We stayed in during tour trip to ZhangJiaJie.The access to room is bright & the room is clean. The reception place have a nice deco you shall have a visit to look out. They provide wifi in room but be alert that there is not fb & whatsapp access in China. I would recommend this hotel to my friends and I will definitely consider BW hotels each time I travel, The large room utilized a television wall to segregate the sleeping area from a sitting area. The amenities included so many extras. the internet was good too. the restaurant had many pictures of the food selections to make ordering easier for non chinese speakers. I used the hotel services to arrange an overnight trip to the national park and everything worked out well. I joined a package tour departing from Taiwan and we stayed in this hotel for two nights. With mishap, the first night's stay was not pleasant as there was some odor filling in the air upon opening the room door. The whole room smelled as if someone was smoking weed the previous night. When we came back a day later, it seemed that I got lucky. The room, compared to the nightmarish first day, was stench-less. The breakfast throughout the 3 or 4-star hotels across the scenic areas is the same, I guess. Rice porridge, seasonal greens, and other commonly seen Chinese dishes. Don't drink the milk, though, as the milk powder produced in China has been questionable. "Pleasantly surprised, but I am a westerner who lives in China so I have low standards"
I was very pleased with the hotel especially for the price we paid (about $50 a night.) It's super close and convenient to the airport which is why we chose it since we got in so late. They advertise a shuttle bus which they DO NOT have so that was disappointing because that is another reason why we selected it. Taking a cab one way should be about 30rmb. The taxi's will try to charge you more. There was a lot of selection for breakfast, none of it great, but what do you expect from a hotel? Rooms were clean, big, and comfortable. They do not clean your rooms every day like most hotels do. They have wifi but it constantly kicks you off and it is a struggle to connect to it. "Amazing gem of a hotel"
This was a wonderful hotel. It was excellent value for the cost, the rooms were pleasant, and warm, the breakfast was exceptional, and the onsite restaurant was fabulous. It's about a ten minute cab to the bus station/airport/mountain. "Basic hotel. I mean you're really there for the sights anyway, right?" Our bathroom had a good amount of problems (shower drainage and toilet didn't flush). Check your bathroom before you get comfortable. The staff was nice and very patient. They offered to change our room but we were too tired and just wanted to get some rest that we refused. The room is spacious but the carpet was stained. They gave the typical amenities with toothbrushes, combs, razors, and bathrobes in the bathroom, a safe in the closet, even coffee and tea with a thermos which was convenient. We went in January so the air that came out of the ventilation system was heat. It got very warm at times so we just cracked open the windows to cool off the room. I read here that there was a cockroach issue and thank goodness we didn't have to deal with that. The breakfast buffet served is very basic as they say but we got a good meal to get us through our day. They also have a little mini grocery store by the lobby that sell basic snacks, food, and some souvenirs. "Nice modern hotel with great views and location, would not stay at again though." The hotel has a lovely foyer and the room was clean, large, modern and had an amazing view! I was deciding between the Pullman and The Best Western, I feel I would've had a better experience at the Pullman. The hotel is in a convenient location but what was most disappointing is that only one team member in the entire hotel spoke English. When trying to get information on local sites and tours this was insanely difficult. My phone also broke during this time, so the lack of a translator made this even more difficult, especially when trying to explain what was wrong with my phone and trying to fix it. 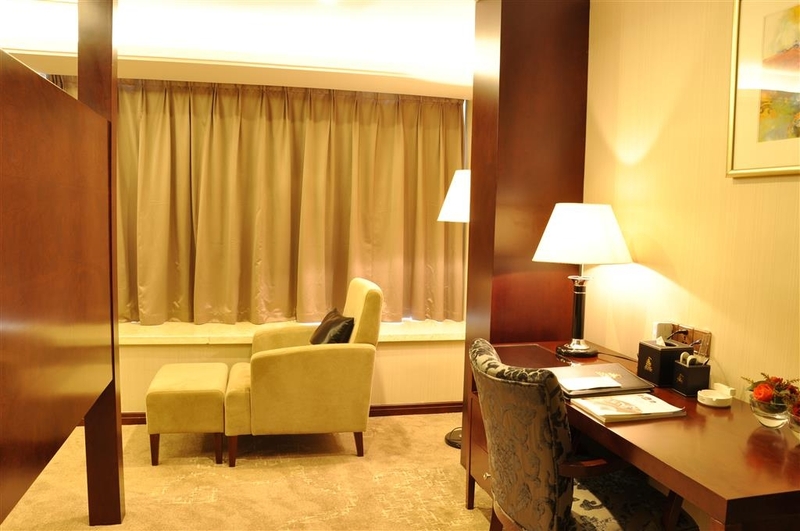 I chose this hotel as it was close to the airport and was ranked well on trip advisor. Everything was nice besides the breakfast (lack of breads, fruit and vegetarian options), wifi (which kept playing up - several times I had to go to the lobby) and language barrier. The team at the hotel did make every effort to help me and their customer service was great once we both understood each other, although as a non Chinese speaker staying at a large branded hotel I expected to be able to converse comfortably in English. I had a chance to visit the Pullman in Wulingyuan and from the moment I walked in, I was warmly welcomed by several English speaking staff who helped me with public transport, information on local tourist attractions and gave me advice on what to do in my free time. 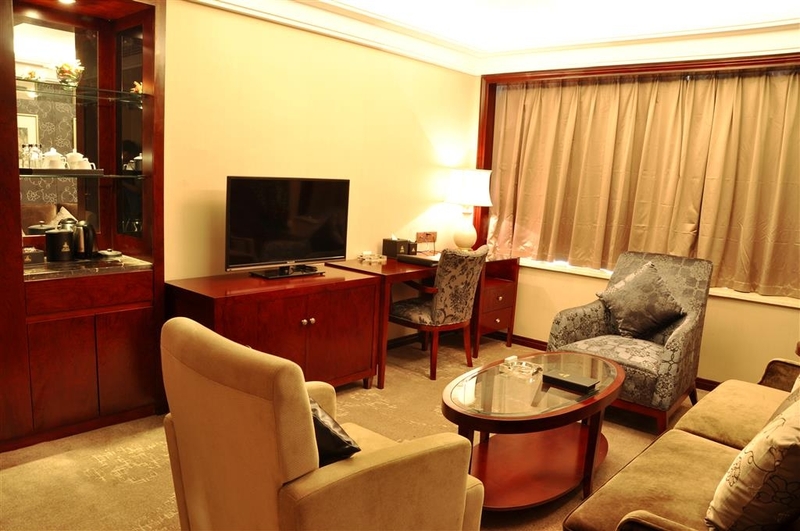 If you're a not Chinese speaker or not familiar with Zhangjiajie and surrounds, I would recommend the Pullman as they were the same price when I booked and can almost guarantee a seamless customer service experience which you can only expect from top rated hotels on TripAdvisor. "Optimal for short stay upon arrival"
"Average hotel for a night or two...pros and cons." First the good: 1) Location is good, close to stuff and inexpensive taxi, across from a nice park. 2) Entire staff excellent, everyone very friendly, English was sufficient, really went out of their way to help us. 3) Excellent view from the deluxe room. 4) Wifi fast 5) Good western breakfast options. The bad: 1) Serious roach problem. Big one crawled out of the shower, about 4 inches long. We called them to take care of it and they came over, sprayed it and killed it. Little ones were found throughout the stay, however. 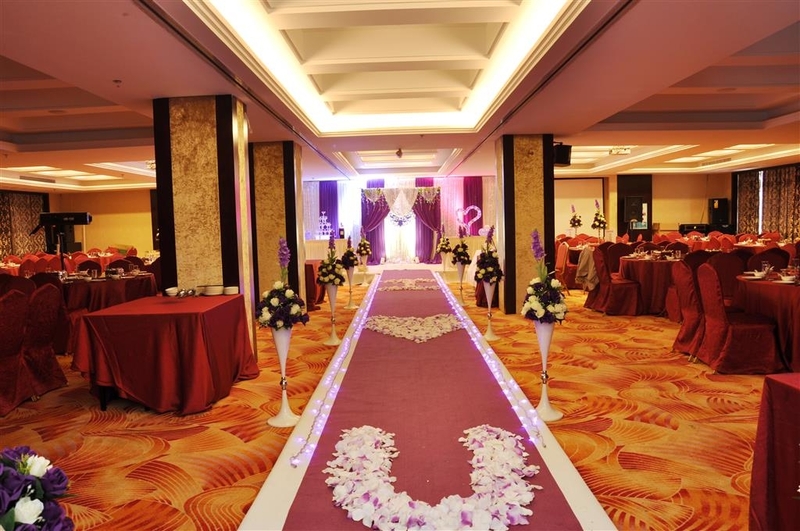 2) Carpet dirty with many stains. 3) Bus loads and bus loads of local tourists stay here. I suspect it is because they sell Ramen downstairs in their store, and probably local tourists cook it and spill it, and hence the roach problem. 4) Bus-loads of local tourists stay here. This results in a very noisy stay (bring earplugs! ), and an interesting experience fighting for breakfast and riding elevators. If that's not your cup of tea, consider staying in a smaller hotel. 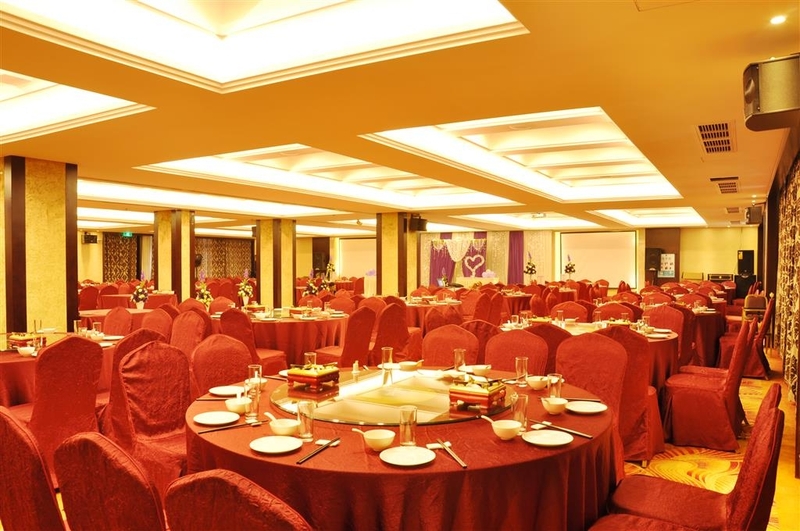 "Average hotel for just one night"
The hotel location is good, very near to the the airport and tianmen mountains. But watch out the staff doesn't speak English which makes your check in and check out really delayed and confusing and if you have any problem during the stay,Then deal with it yourself.. Such as my room was comfortable but there was some smell,so i wanted a room fragrance which was so difficult for me to make them understand!! And if you talk about breakfast!! God its was pathetic.. Firstly the whole buffet was flooded with Chinese stuff we just ate some fruits and egg (eggs were cold they made them earlier and kept it) and I didn't even find the restaurant hygienic. For Chinese people its good but I would not recommend it to any foreigner. "Extremely Helpful Staff but very limited English"
The staff was excellent in trying to provide the very best stay (5 Stars for that), but English was very limited. Great buy for the cost, but the King bed is actual more like a queen. Would definitely recommend as I think it is the best in the area there. "Nice and clean. Not so modern. Nothing to do within walking distance." Best Western is fine. Watch out when you try to cross the street. Local drivers will not stop for you. Good breakfast. Very good restaurant at Lobby for dinner. You should walk with the waiter and point the dishes you like. "10 minutes to airport and to Tianmen mountain"
Stayed in best western because its very near from airport and Tianmen mountain.. Dont stay here if u want to visit the park the avatar land.. Room is big nice decor.. Clean bathroom.. It does the job.. The only negative thing was breakfast purely Chinese. "Comfortable enough for a rainy day." Firstly, watch out for rogue taxis at the airport especially if you arrive on a late flight; the 6 km ride to Best Western should only be 50 RMB. We stayed 2 nights (one day stuck at the hotel due to rain). The hotel is quite far from the city; luckily it has a good restaurant. The room was comfortable and spacious but on arrival late at night, it obviously hadn't been used for some time since it was last cleaned judging by a few dead insects on the carpet (the cleaner did a good job next day). The TV has one English channel from Korea, the free wifi worked quite well, and the buffet breakfast was ok. None of the staff speak English except Michelle at reception who was very helpful and attentive. There is a travel agency at the hotel but they don't take foreign credit cards and the hotel is not able to exchange currency. The cab fare to the Tianmen Mountain cable car station is also 50 RMB and the trip up the mountain is well worth it. 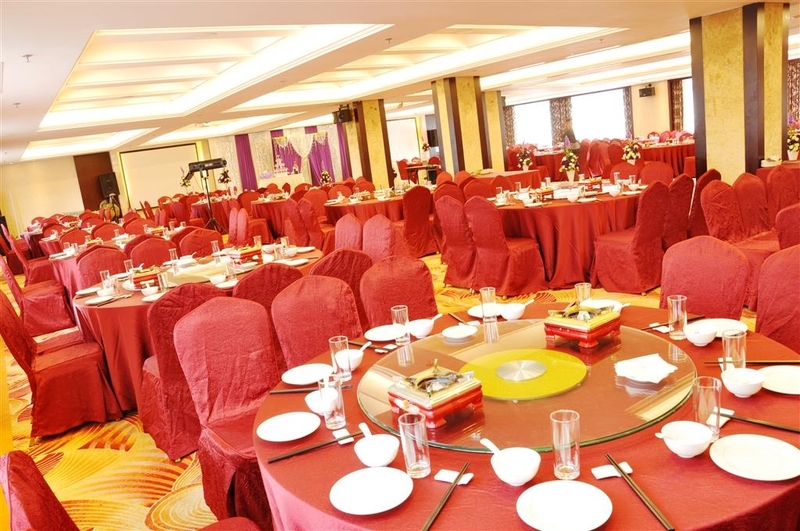 "Disgusting soulless hotel with poor service"
This is the sort of hotel best avoided in China. Large, modern,no atmosphere,very crowded with large bus tours. Service very poor and amazingly little English spoken. Everything was shut by 9.30/10pm and as it is the middle of nowhere little outside to eat or drink except some very nasty dirty food stalls. Rooms very noisy with bus groups moving in and out at odd times. Breakfast was a battle ground. "Stayed one night as part of Photo Tour with China Highlights. " One of the more luxurious hotels that we stayed in during photo tour. Large welcoming lobby and friendly staff. Good breakfast buffet providing both Western and Chinese style items. Room was luxurious and beds were very comfortable. Only Chinese programs available on TV. Only stayed 1 night so didn't see much of surrounding area. "Nice 4 stars hotel in Zhangjiajie"
we stayed 2 nights here, hotel is good and room is clean but wifi is not strong. For the nice and international brand hotel they should improve the wifi and this is only the weak point of this hotel, the rest is good. "Good hotel in Zhangjiajie Town, close to Tianmen"
We took this hotel the first two nights which is in Zhangjiajie town, not Zhangjiajie park! We wanted to be close to Tianmen mountains and the cable car started in the town which was 10 minutes away with taxi 10 RMB. Hotel reception helped us locate a supermarket and a KFC when we asked for it, using Google translate when we didnt really understand. We skipped the taxi on the way home, big mistake. It is too far to walk. Outside the hotel, there is a nice park. The breakfast was very large and nice but dont go too late, they will be out of everything by then. 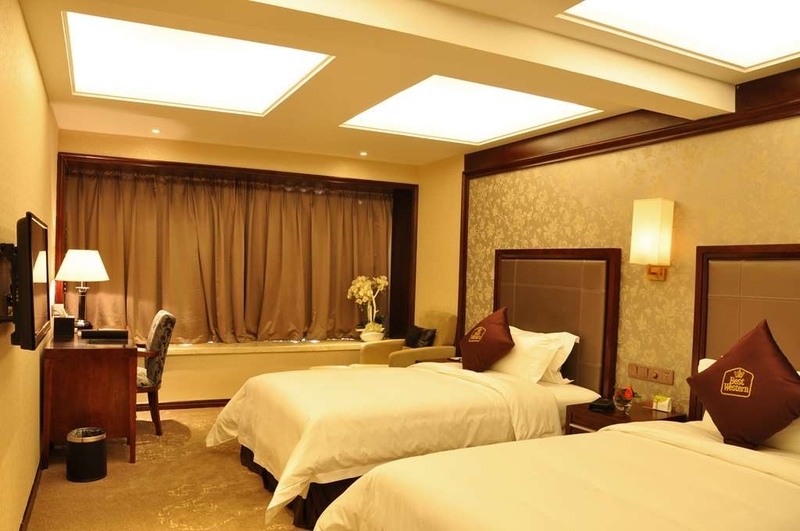 "Nice Hotel to stay in Zhangjiajie"
Near to airport. Easy transportation to Wulingyung. Clean and quite room. Good breakfast with variety, but the restaurant is too small for tour groups. Air conditioning is not turned on during the day and temperature in room at night is too high. We stayed for 4 nights in May, 2015. Very nice exterior and the lobby is indeed grand! Check in late at night was a bit of a challenge since very little English spoken. However, the friendliness, smiles, and obvious effort to understand made the experience quite pleasant. We were put in a superior room instead of the booked deluxe room, but were moved in the morning with sincere apologies. The room was large and spotless. The bed was very comfortable and quite luxurious. Our view looked out to Tianmen Mountain...pretty GREAT view! The air conditioning in the room worked, but not well enough to keep the room very cool but definitely bearable. Breakfast was included in the price. A very large selection of Asian dishes but not much western food. Having said that, bacon, eggs, toast and coffee for breakfast suited us just fine. We ate at the restaurant in the evenings and it was great. A HUGE selection of foods at very reasonable prices. We overate on 4 dishes (couldn't eat it all) and had 2 large Tsing Tao beers and the bill was less than 120 RMB. Service was amazing and food was delicious. The only problem with this hotel is that it is not close to the National Park, which is about 35 kms away. Most tours book only 1 night in Zhangjiajie and then move to Wulingyuan, which is right next to the park. We booked 4 nights here then hired our own guide and got taxis each morning...worked out just fine. Overall, very nice hotel and experience! I stayed at this hotel in May of 2014 for two nights. The hotel is new and very modern. My booking was done on Ctrip.com. And I paid at the checkout by my credit card. I think it was 500Y per night with buffet breakfast. 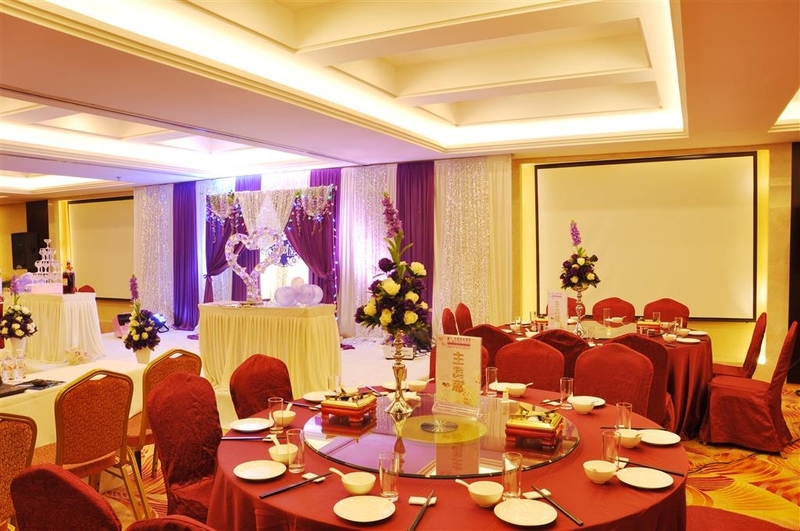 The hotel is about 10 minutes' drive from the airport and it is bit out of main area of the town. My flight arrived at 8:00 PM. There were several taxis waiting but since it was a short drive none wanted to give me a ride. And finally I found one who charged me a lot!! The lobby is nicely decorated. The bell boy took care of my luggage. Check-in was uneventful. The bell boy took me to my room. The room was nice, clean, spacious and modern. 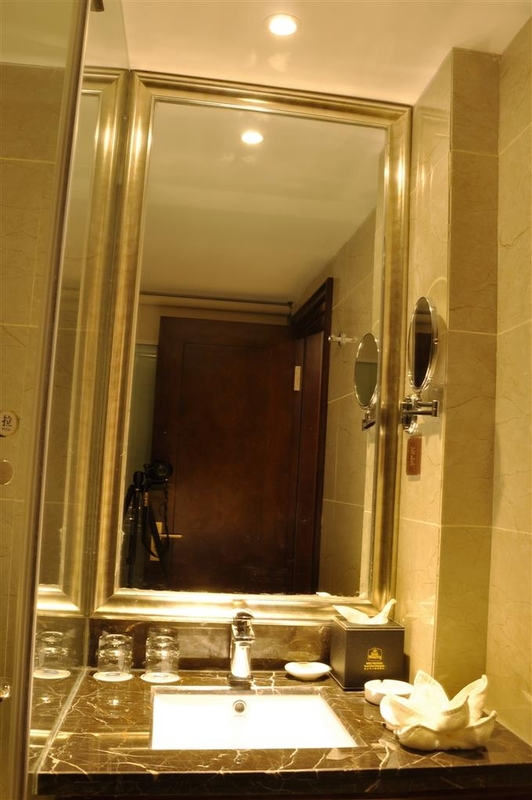 Bathroom also was nice with all toiletries. Had the flat screen TV, A/C and Wi-Fi which worked well. The bed was comfortable. After I freshened up, went to the lobby and found that the restaurant was closed already at about 9:00 PM! The front desk ladies barely spoke English. She telephoned someone whom I talked on phone. After that the bell boy took me to a nearby restaurant which was less than 5 minutes' walk. After exiting the hotel turn right, walk a couple of blocks, cross the street and the restaurant was there which turned out to be very good. I dined there next night also. In the morning, the dining room was quite busy for breakfast. The buffet breakfast was very good with many choices but majority were Chinese. The coffee was premixed with milk and sugar so I had to ask a waiter to bring me some without sugar and milk which he did. After breakfast, I contacted the front desk to find me a tour guide. 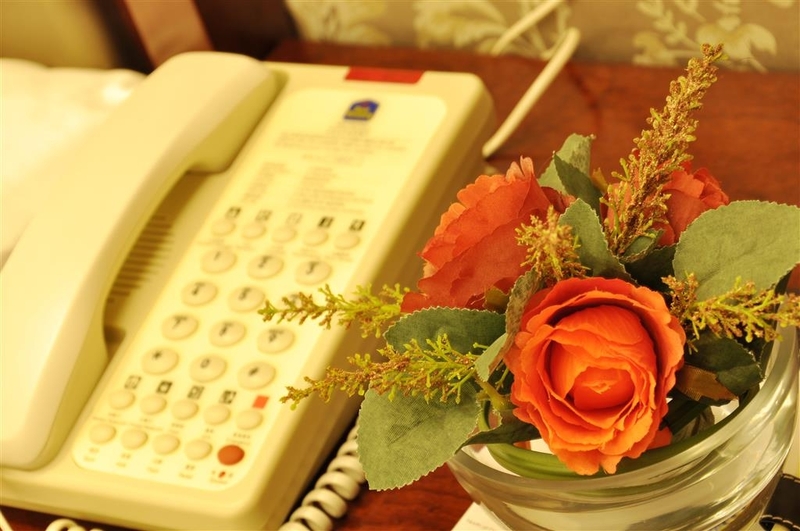 The hotel has a tour company who called a young man who turned out to be an excellent guide. He took me to the park and next day to the Tianmen Mountains. He spoke good English and used mostly the buses. The bus ride to the National Park was not long. The hotel kept my luggage after I checked out in the morning and I collected it after my sightseeing. The guide also came to the airport in taxi with me. With his help I paid the regular fair for the taxi this time!! During my stay, the hotel was busy with local tourists. If return to Zhangjiagie, I do not mind staying here again. I arrived with a group of 18 but booked and paid for a suit, full price, on line. On arrival I was asked to pay again. Once clarified I went to my room. Large and spacious. Broken lamp, fairly unkept and vastly empty. Bad tv reception. The water when filling the bath was dirty and grainy. Couldn't use the tub. Amenities not replenished. The staff were helpful and polite though. Upon departure a very rude receptionist accused me of taking a laundry bag. Wow. On my last afternoon and evening I had no power in my room and had candles brought up. Never again. Am really disgusted with the whole experience. A waste of money.